An Ottawa immigration lawyer says immigrant children being separated from their parents and detained in the U.S. would never be treated that way in Canada. 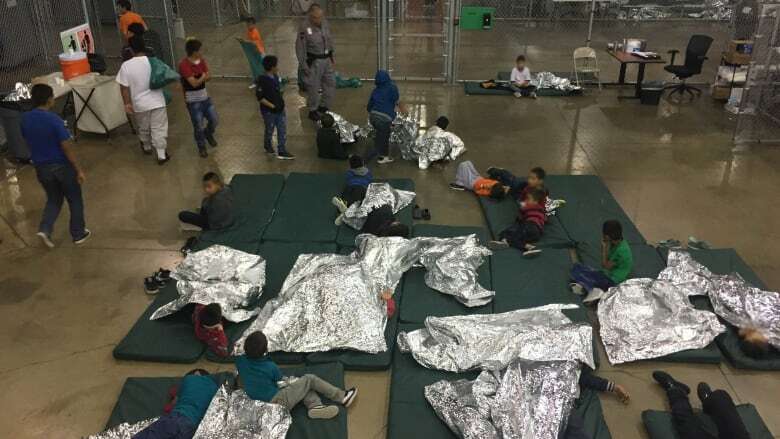 More than 2,000 children have been kept in detention facilities near the U.S. southern border over the last six weeks, in many cases because their parents face criminal charges for entering the country illegally. Arghavan Gerami, an Ottawa immigration lawyer, calls the situation "shocking." "It is a policy that is never justified and this would not stand in Canada," she told CBC's All In A Day Monday. She said in Canada, detention is always the last resort and the court is mandated to consider the best interests of the child. There are rare circumstances in which detention can happen, Gerami said, but children are usually kept with their families. When they are separated, she said they're not kept in custody. Experts have raised concerns about unaccompanied children seeking refugee status in Canada and the different regulations in various provinces. Gerami said if the U.S. is hoping that separating children from their parents will stop people from coming, its leaders don't understand the risks migrants are taking in their home countries. "It's a very misguided way to think of that, because those individuals who are running away from persecution and risk are doing it in very desperate circumstances," she said.